For my birthday last week, Mike and Emma took me shopping for the day in East Hampton. 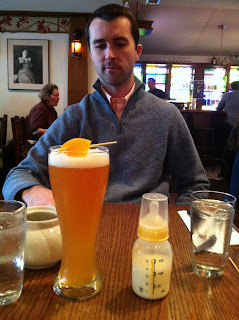 We had a great lunch at Rowdy Hall - fantastic burger, Blue Moon for me and a bottle for Emma. Emma mostly window shopped. Her favorite? Ralph Lauren Kids, of course. You might remember our trip to East Hampton last year in March. We gushed over the Easter window... little did we know that we'd be back in 12 months shopping for her Easter dress. The day started rainy, then the sun came out. 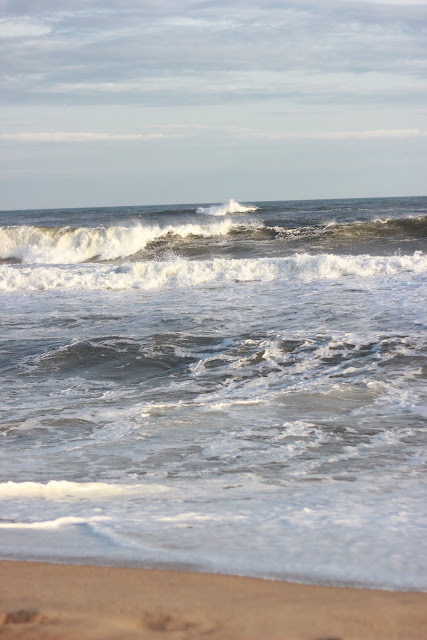 We went down to the beach to see the big waves the storm had brought in. First time to the beach! Looks like a fun birthday! Could you please share what camera you use, types of settings, and what program you use to edit them? They look great! happy belated birthday, jenny! looks like a perfect celebration! Hope all is well. Emma is darling. I love your car seat/ stroller system, what is the brand and model? Thank you! 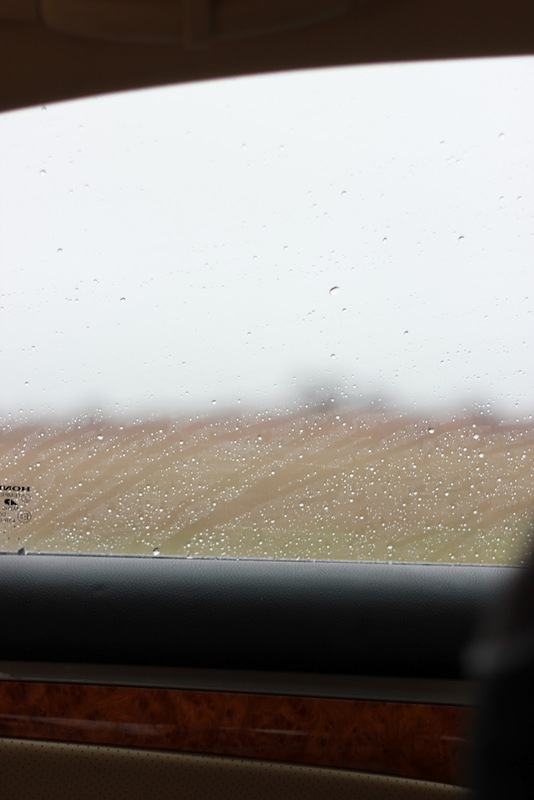 I use a Canon Rebel T2i with a 50mm 1.8f lens. One of my new blog topics is going to be sharing my photography tips- as I learn and teach myself! Look for some of those posts next week- we'll be traveling back home to KC and I hope to take lots of pics! My stroller is amazing. It is so lightweight and sturdy. Best part? It was $99 from target! It is the Baby Trend Jogger. Love this! I'm hoping to visit the Hamptons this summer! 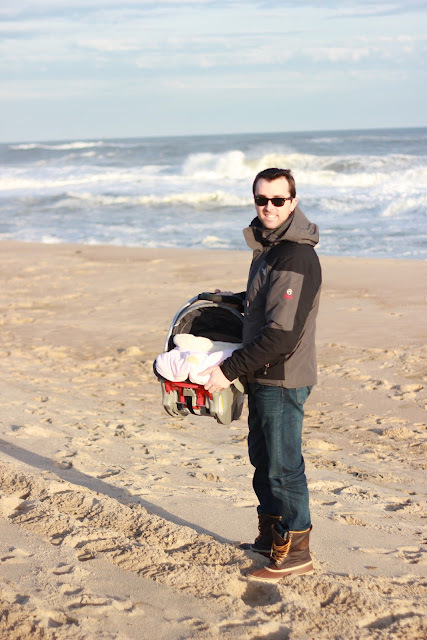 The beach looks beautiful and your baby is adorable!